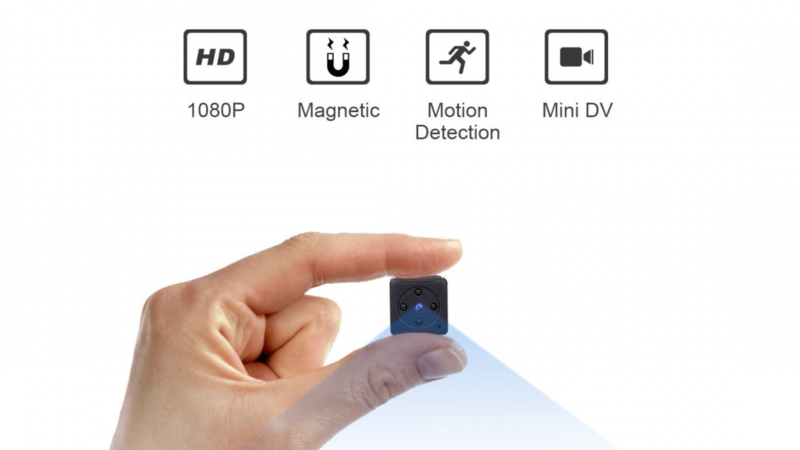 “Small But Mighty” could be the slogan for this portable lightweight mini spy hidden video recorder. 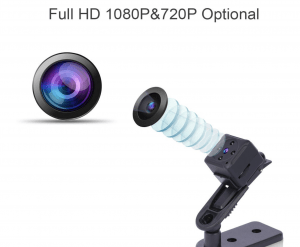 It is ideal as a business or home security camera or a nanny/housekeeper/employee/pet cam because it can record snapshot pictures and take clear and high-definition videos without attracting attention. It is easily hidden in order to do its monitoring, and you can also see everything from your computer that the camera sees. No lights are on when it is in record mode, and the lens is well recessed. Monitoring when away can connect to a Wi-Fi network, or you can stream it from your phone. The camera also has motion detection that starts up almost instantly, can generate hundreds of short avi files. has a working time of about 50 minutes, and only records video and sound when movement is detected, and shuts off automatically when no motion is detected. 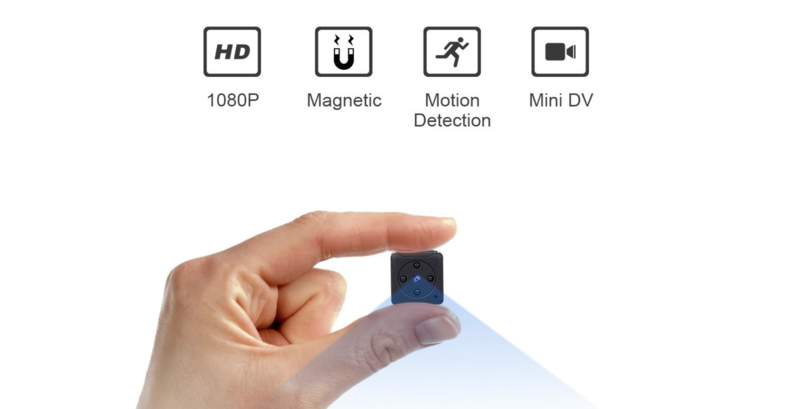 It records videos, is durable, charges at the same time with a built-in lithium battery, and time stamps everything. Enhanced night vision has LED lights for a clear display when there is low light. Also provided are a card reader, a charging cable, a mirror/magnet set, and more. How easy is it to install? You just slot in a T-Flash card, download the app, and sync it, screw in the camera, the small controls are easy to work, charge it, and start the recording! You get a nice panoramic view of the whole room or area with good video quality. Where can you put it? You can pick any corner or other location in your home, baby bedroom, back yard, store, office, warehouse, in your car, or simply in your pocket or on your or your pet’s collar with the included clip. You can change the location any time you want to. There is a helpful User Manual to explain in detail how to use the various features and how to practice. A 100 percent Satisfaction Guarantee that gives your money back or a free replacement is available if it should become necessary.